2. 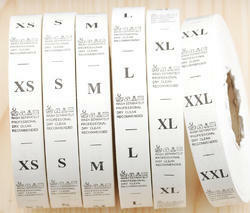 Apparel Industry - Apprelel industry use it fix few infomation as a tag in tha shirt , pant and any agrments. By keeping track with the latest market developments, we are offering a wide range of Taffeta Rolls to our valuable clients.